The White Rock Rush Trousers are a stylish new addition to White Rock's new season range. Fully waterproof and breathable, these fully taped and windproof salopettes offer maximum protection on the slopes. Featuring both inner and outer thigh venting, the Rush Trousers from White Rock will keep you cool when needed, and warm on the slopes. With cargo pockets the Rush Trousers are ideal for carrying items whilst skiing, and micro-fleece lined for comfort and warmth. 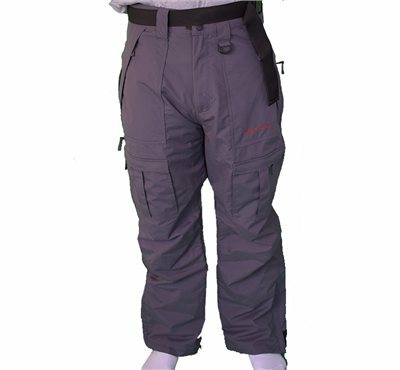 White Rock have manufactured the Rush trousers with articulated knees for better movement on piste, scratch pads for durability, a removable belt and cordura bum patch. All in all a fantastic pair of ski salopettes from White Rock with great integral features and excellent value for money.